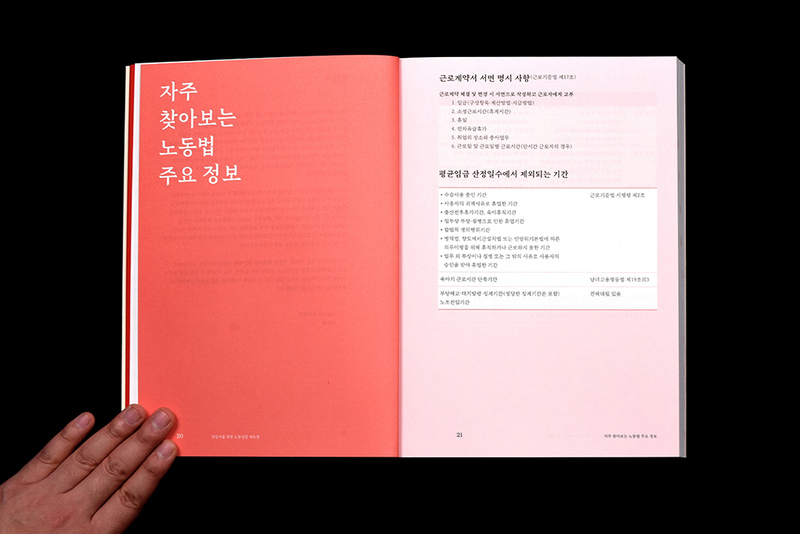 일상의실천에서 서울노동권익센터에서 펴낸 <상담자를 위한 노동상담 매뉴얼> 디자인을 진행했습니다. 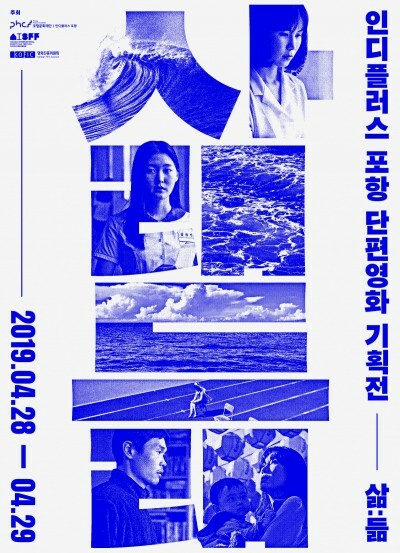 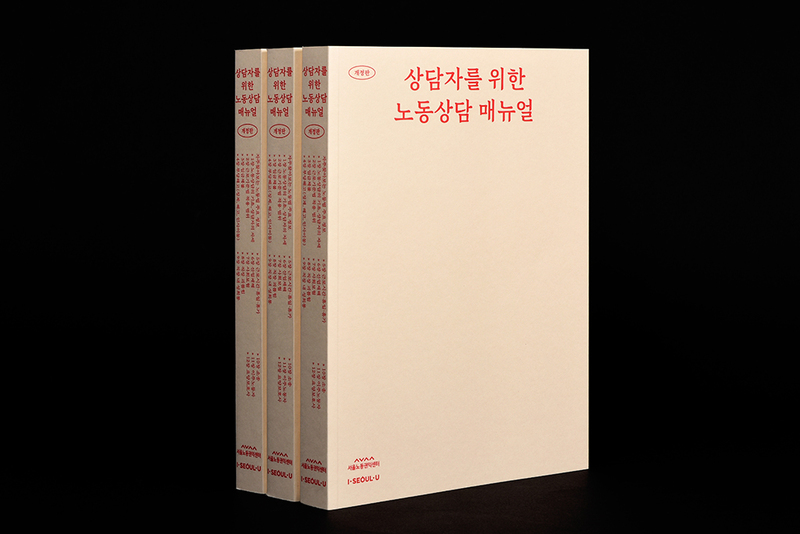 <상담자를 위한 노동상담 매뉴얼>은 노동법에 익숙하지 않은 근로자들이 업무에서 겪는 다양한 노동문제를 상담해주는 상담자들을 위한 노동법 해설서 입니다. 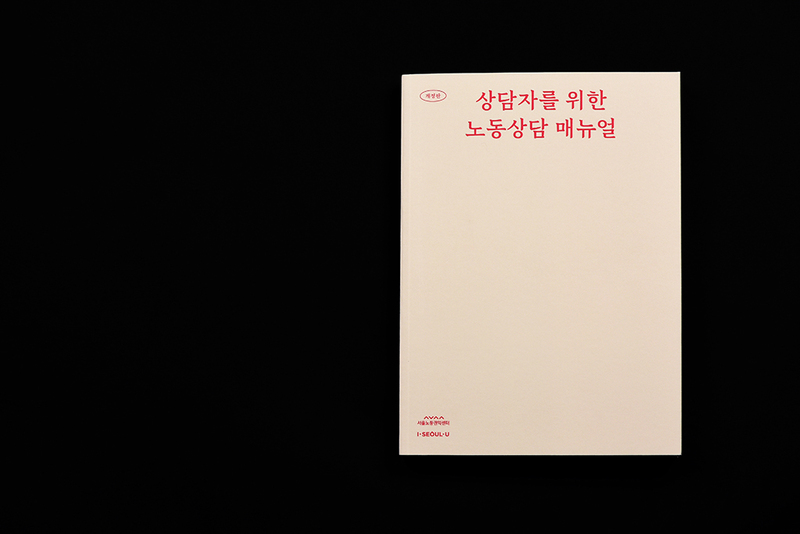 본 매뉴얼은 근로기준법의 개괄적인 소개부터, 임금체불, 부당해고, 근로시간, 휴가, 산업재해, 사회보험, 직장괴롭힘, 성희롱, 소송과 이주노동자 문제에 이르기까지 근로자가 알아야할 노동문제에 대한 방대한 자료를 수록하고 있습니다. 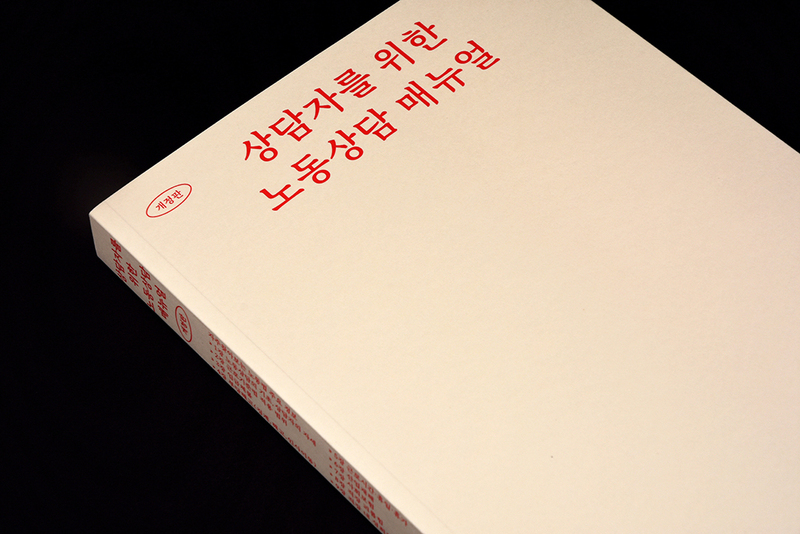 일상의실천은 각 챕터를 명확히 구분하기 위한 시각적 장치를 마련하고, 타이포그래피를 시스템을 구축하여 다양한 층위의 정보를 담고 있는 매뉴얼의 효과적인 정보전달을 확보하기 위해 노력했습니다. 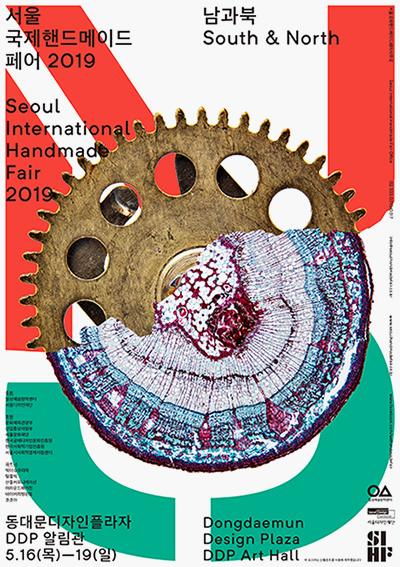 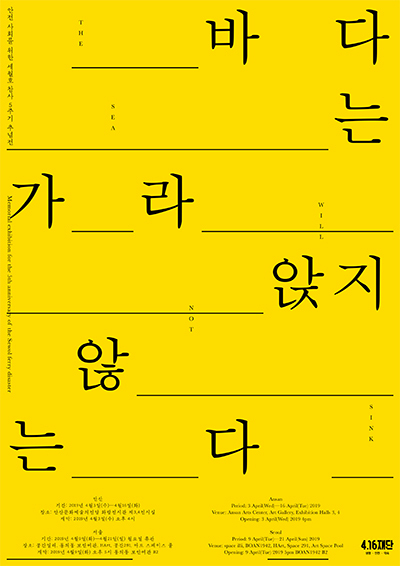 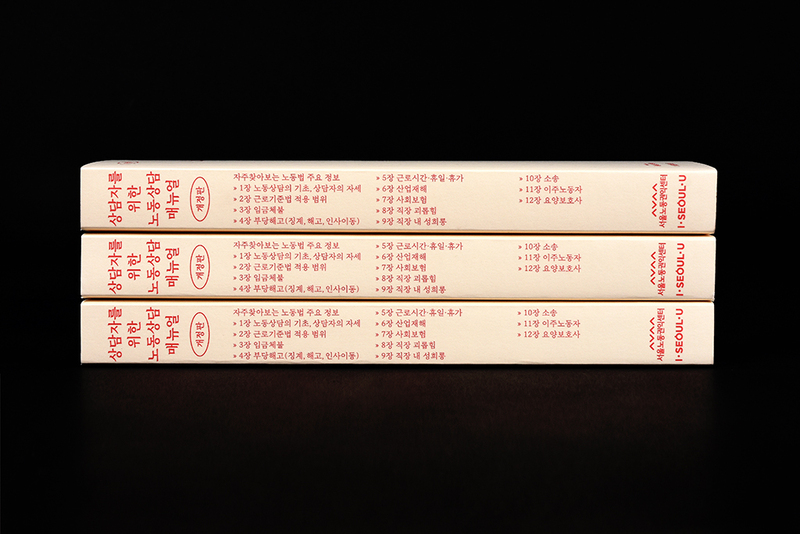 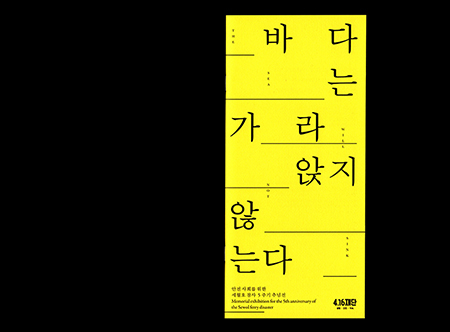 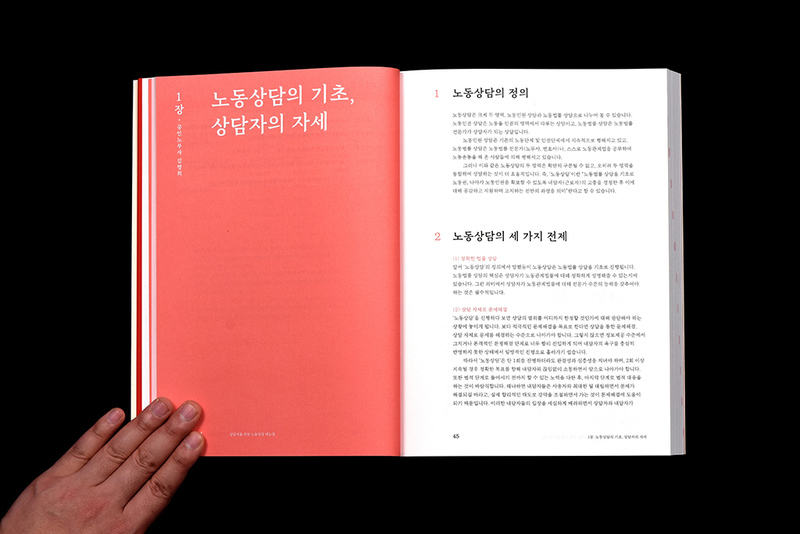 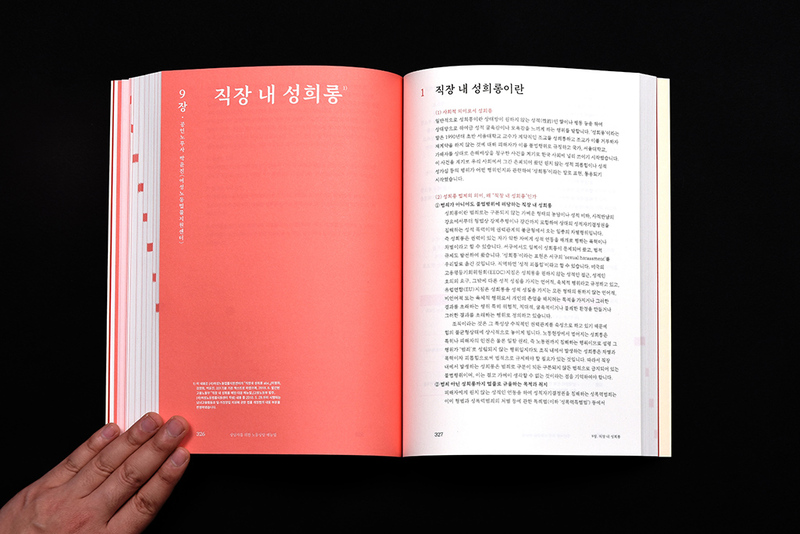 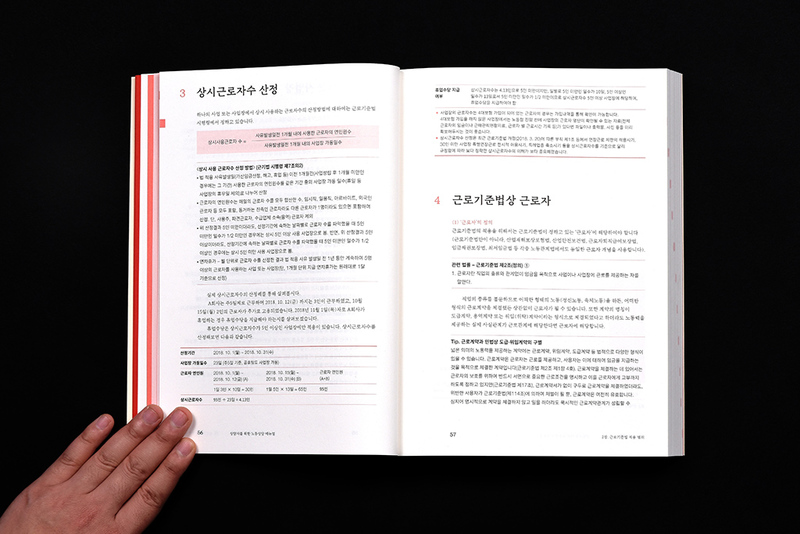 We designed the <A manual for labor counseling> published by Seoul Labor Center. 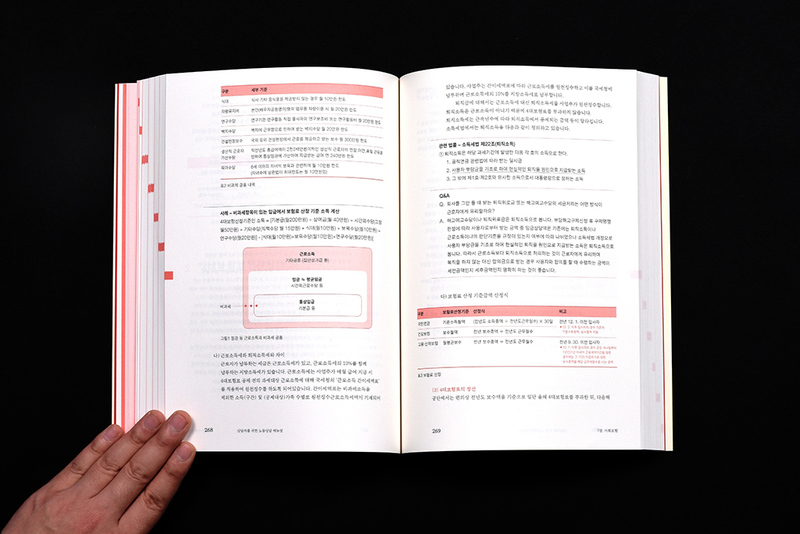 <A manual for labor counseling> is a book for counselors who consult workers who are not familiar with labor laws.This manual contains a large amount of data on labor issues that workers should be aware of, from a general introduction of the Labor Standards Act to wages, unfairness, working hours, vacations, industrial accidents, social insurance, workplace harassment, sexual harassment, lawsuits and migrant workers’ problems. 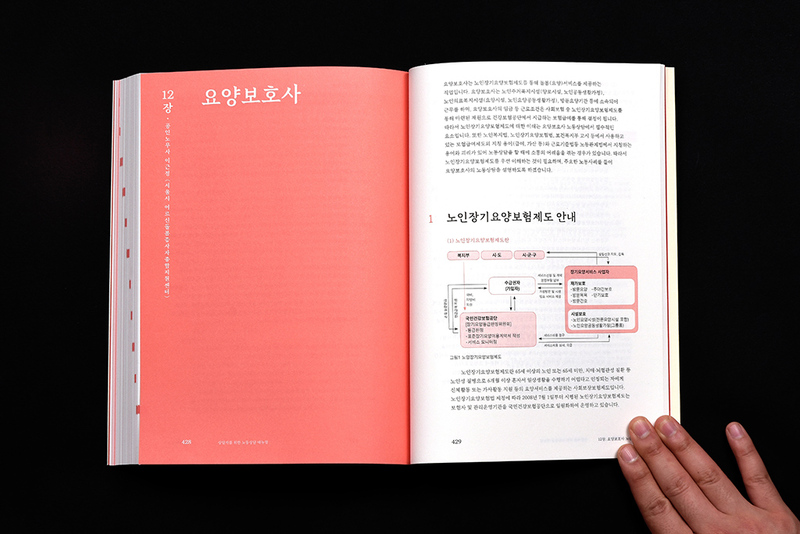 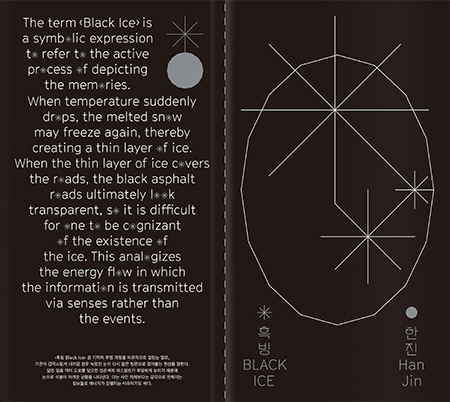 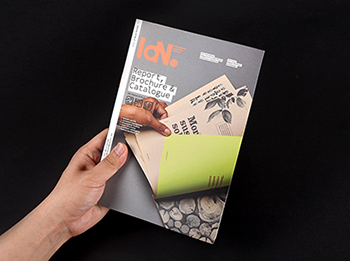 We put in place visual devices to clearly identify each chapter, typography systems to ensure effective information transfer in the manual, which contains various levels of information.